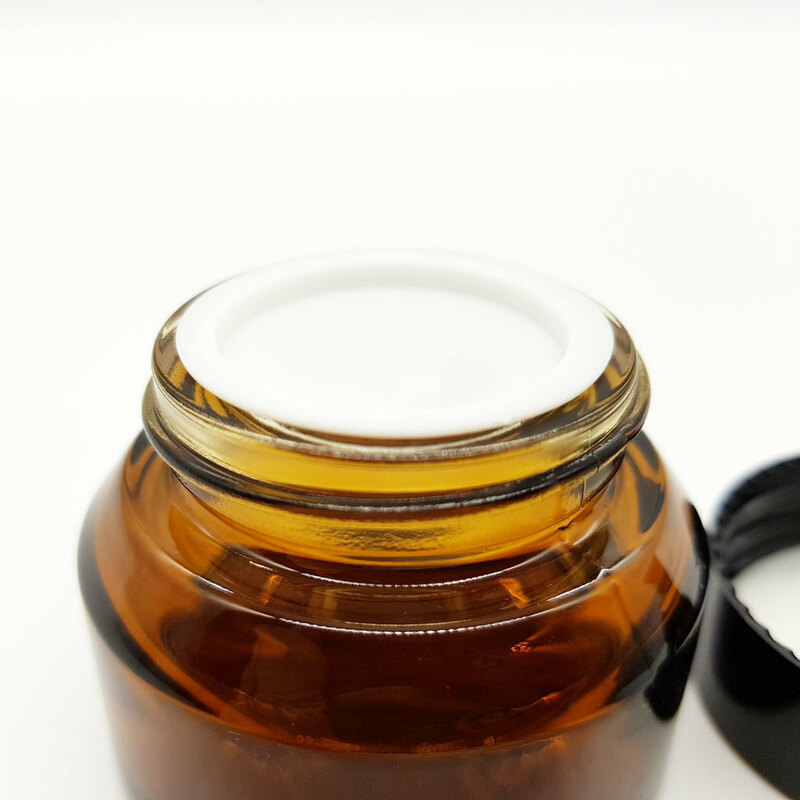 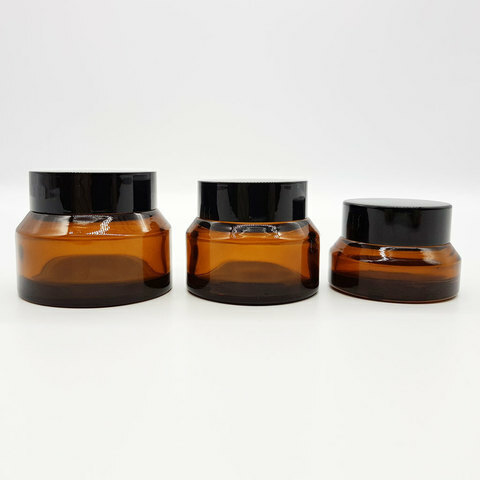 This amber jar with its amber colour property can protect the contained solutions from UV light. The inner lid helps to keep freshness and avoid spillage. 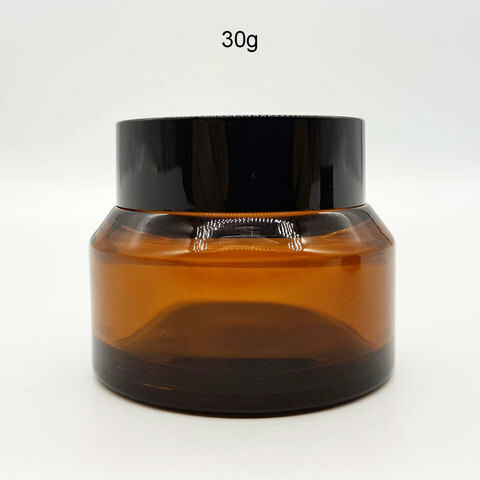 It has 3 sizes, 15g, 30g and 50g.